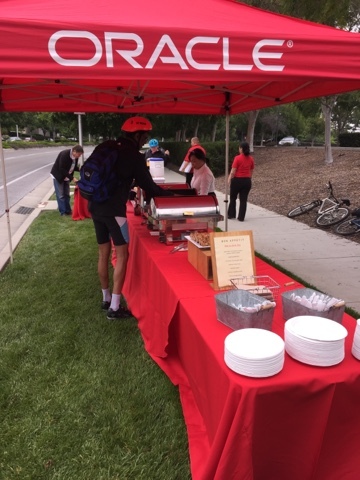 Bay Area Bike to Work Day began at sunup. It went well until I parked in a loading zone. As you know, I am a telecommuter. 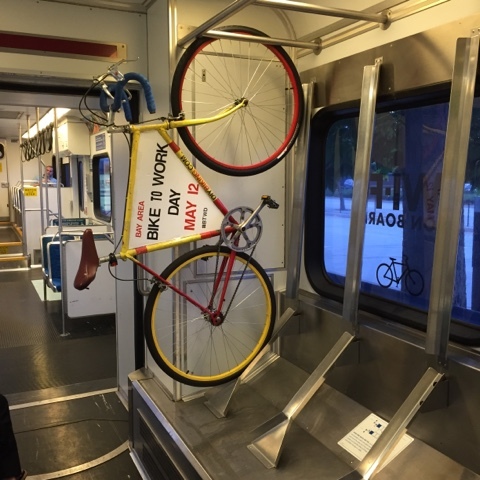 However, phase two of Bike to Work Day involved boarding my adored VTA light rail. It's pronounced Veetee-ay and I'd write a song about it if that rhymed - and If I had talent. Then it was a meet-up at the Martin Luther King Jr. Library with the Silicon Valley Bicycle Coaition, the VTA, the mayor and a whole lot of other cool people for a ride up the Guadalupe River Trail. It was when I took this shot that a thought struck me about biking to work vs. driving: you can choose to surround yourself with a leather, steel and glass room that loses value over time, or you could surround yourself with friends that will gain value over time. I also got to visit some great energizer stations. And I must say this about Oracle: you are a staple of Silicon Valley and a leader in cloud applications. 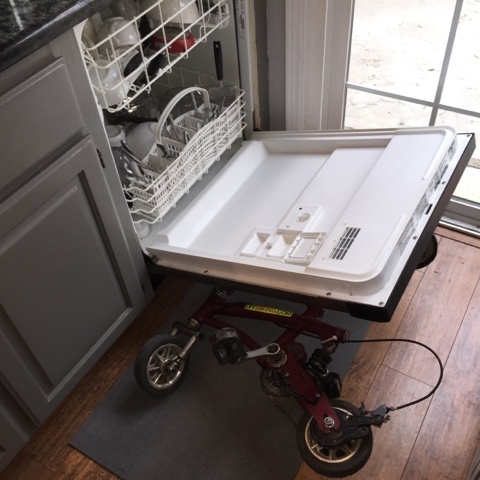 But you also run a spectacular energizer station. I returned home to work from my home office for a while before the day was done. 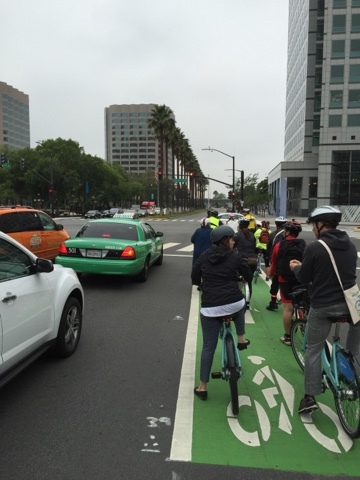 This meant phase three of Bike to Work Day: going to the Silicon Valley Bicycle Coalition's Bike Away From Work Bash. I brought my homemade cargo bike so as not to confuse the valet. But I didn't have to worry: every bike was different and the assortment did well to show off the diversity of the people who bike to work. Old friends met. New ones made. 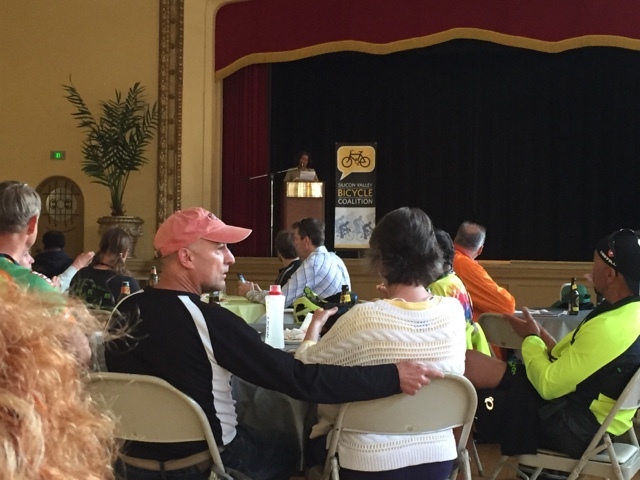 Phase four of bike to work day: thanking the people who rode to work for the first time. In the words of Obi-Wan Kenobi: you've taken your first step into a larger world. I will put up links tomorrow but tonight I have put away the sign from the sign bike. I peeled off the '2' and stowed it with the proper labels so this will be easier to make next year. 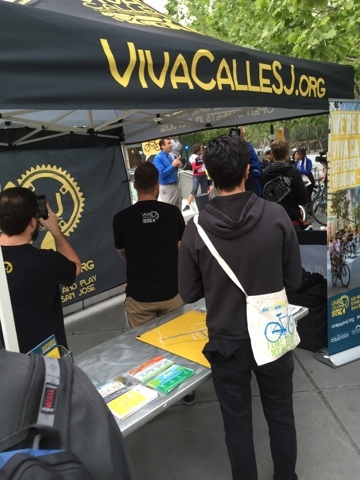 Thank everybody for making this Bay Area Bike to Work Day possible. 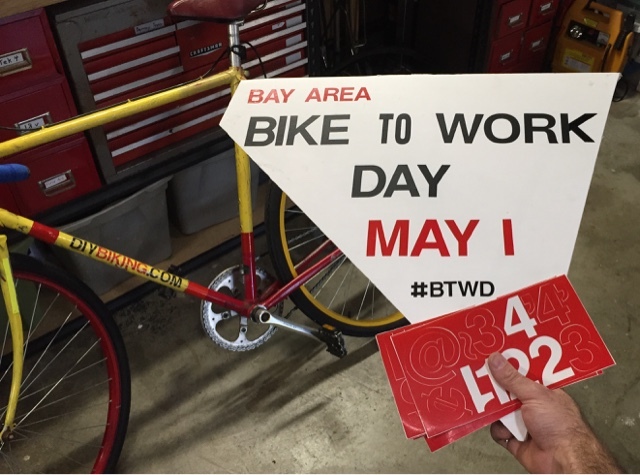 National BTWD is the 20th so I hope you take part for any reason. Thanks for reading and thanks for riding.